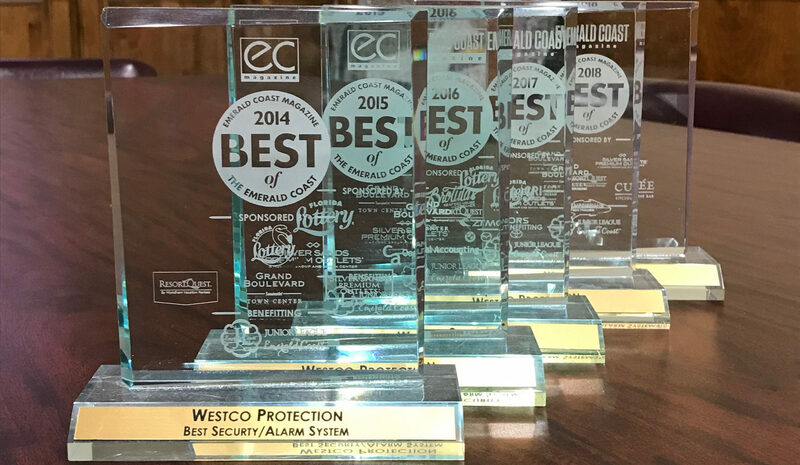 In 2008 after being a customer of Westco Security for over 15 years, John purchased Westco Security and changed the name to Westco Protection. He has held the Chairman position since that time. On December 5, 2018 he sold his interest in another business and now is totally committed to Westco with much more time and money. Growing the company has become his priority #1. John and his family live in Destin, FL. and attend church at Village Baptist Church. He is active in his community and is member of the All Sports Association and a board member of the Wuerffel Trophy. In his free time He enjoys anything involving FSU Sports, Sports in general, as well as boating and saltwater fishing. Tiffani Tuele started her career with Westco Protection while she was in high school and is now the Accounts Manager. She mainly handles Accounts Receivable and billing but does much more than that on any given day. Tiffani was born and raised in Fort Walton Beach, FL. She spends her free time with friends and family. She also enjoys going to the beach and local hangouts. Philip Feldner is also known around town as Westco Phil. He has been in Fort Walton working for Westco since 1996 and has been in the alarm/security industry since 1985. He started with Westec when he was only 20 years old and instantly loved this type of work and meeting new and interesting people which is a big part of why he still loves it. He’s an expert in the field but admits to learning something new every day. Phil lives in Fort Walton Beach, FL., and is originally from New Orleans, LA., and gets back to see his family whenever he gets a chance. He has four beautiful children, one grandchild and another on the way. He enjoys camping and riding his Enduro motorcycle. Pam Smith has been the Office Manager at Westco Protection since 2008. She has a background in Human Resources, Office Administration, Accounting and Payroll. She’s been known to wear many hats and has a collection of them hanging behind her desk. Pam has lived locally for the past 14 years and currently lives in Crestview, FL. She is originally from Wichita, KS., and lived in Las Vegas, NV., for 15 years and in Germany for two years. Pam is married and they have four children between them, three grandchildren and another one on the way. Pam enjoys spending time with family and friends and kayaking on our local rivers. Shawn Tuele was born in the Florida panhandle and has lived here his entire life. He married his high school sweetheart and he has a wonderful son. He became interested in electronics at a young age. After high school he attended a technical school for electronics and entered the alarm industry in 1996. He acquired a state license in 2004 and is currently one of the license holders for Westco Protection. His favorite activities outside of work are; fishing, hiking and camping.